The Tesla challenger ponders 18 sites in Sweden and two in Finland. The Swedish gigafactory hopeful Northvolt will likely seek European Investment Bank funding for a 32-gigawatt-hour battery facility in the Nordics, GTM has learned. The lithium-ion battery gigafactory plans are “pretty much spot on” what Northvolt expects the European Investment Bank (EIB) to support as part of European Union funding for sustainable development, said Paolo Cerruti, Northvolt’s chief operating officer. Northvolt, which unstealthed last year under the guise of SGF Energy, is seeking about €4 billion (USD $4.25 billion) to complete its production facility by 2023. The company is planning to build its factory in phases, with the first stage, costing between €1.5 billion and €1.6 billion ($1.6 billion and $1.7 billion), coming on-line around December 2020. 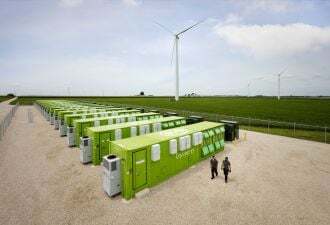 It is scheduled to produce 8 gigawatt-hours of batteries a year, with equal capacity-sized phases coming online every year thereafter. The first phase is expected to be the most expensive because of the need to assimilate setup costs, Cerruti noted. Northvolt hopes to complete fundraising for the first phase of the gigafactory by the second quarter of 2018, with construction starting soon after. Cerruti said the venture had already raised $14 million, which was going to be put toward planning and development over the next 18 months. This initial development funding has come from the shipping-to-recycling conglomerate Stena, the power giant Vattenfall, Sweden’s Vinnova innovation incubator and the Swedish Energy Agency, which has provided €4 million ($4.25 million). InnoEnergy, a European Union-backed sustainable energy accelerator, has also put €3.5 million ($3.7 million) into the venture, which is one of a growing number of gigafactory projects planned for Europe. Northvolt’s investors include companies expected to become customers or partners, although “it’s too early to mention specifics,” said Cerruti. The company’s launch team is now planning to put together eight work streams covering areas from supply chains to financing. Choosing a site for the gigafactory will be high on the list of priorities for the company. Northvolt needs between 500,000 and 700,000 square meters of land for the plant, along with easy access to significant power supplies and transport hubs such as an airport. Because the company is expecting to attract a significant amount of talent from abroad, having international schools in the vicinity will be important, said Cerruti. A request for information from Northvolt has already yielded 18 responses from Swedish communities and two from Finnish townships wanting to host the gigafactory, Cerruti said. Northvolt is expecting to whittle this list down to five by the end of March, and get down to the final two at the end of May before making a final decision this summer. Local incentives would play a large part in the selection process, Cerruti hinted. Cerruti and Northvolt’s CEO, Peter Carlsson, are former Tesla executives who believe battery manufacturing could be highly competitive in the Nordics because of the presence of large amounts of raw materials in the region. Norway, for example, hosts the world’s fourth-largest nickel refinery, Nikkelverk in Kristiansand, which owner Glencore claims is one of most cost-competitive of its kind in the world. The Financial Times, meanwhile, has reported that Northvolt could be looking to exploit cobalt and nickel mining and refining capacity in Finland. 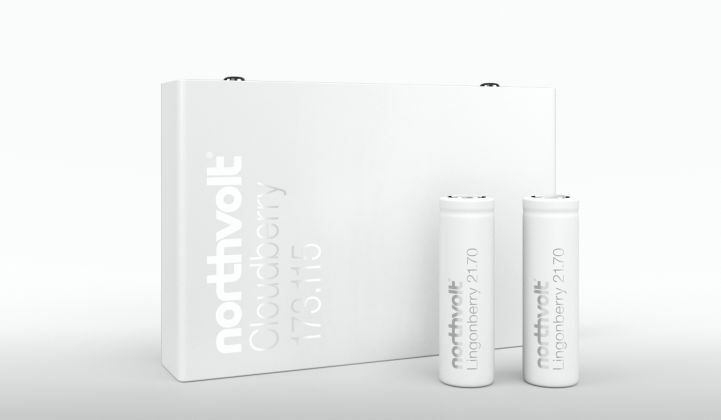 Cerruti hinted that taking advantage of supply chain synergies would be central to Northvolt’s plans for low-cost battery manufacturing. Christina Bu, secretary general of the Norwegian Electric Vehicle Association, welcomed the move. “The Norwegian EV Association, which represents more than 40,000 EV owners, would very much support an initiative like this in the Nordics,” she said.